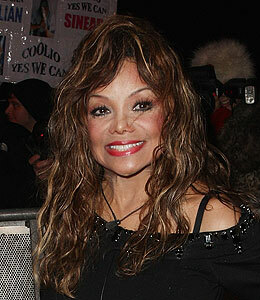 La Toya to 'Dance with the Stars'? Dust off those dancing shoes! Rumor has it La Toya Jackson is under serious consideration for a slot on "Dancing with the Stars." According to Us Weekly, La Toya is currently in discussions with producers of "Dancing" to appear on the hit booty-shaking show. The next batch of dancers will be revealed on "Good Morning America" on Monday, August 17.